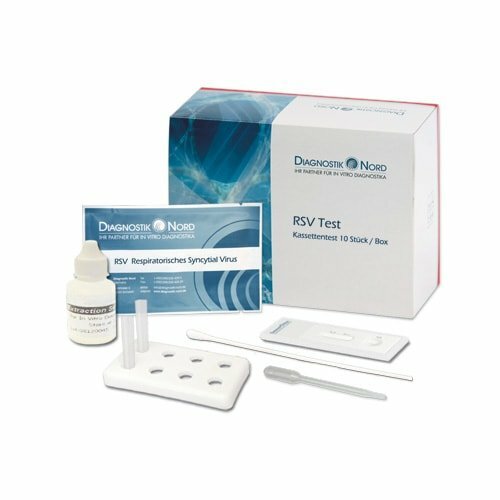 This RSV rapid test is a one-step rapid test for qualitative detection of the Respiratory Syncytial Virus (RSV) in nasal swabs or nasal lavage samples. The sample is prepared as described in the user manual. The test cassette is labelled in order to prevent any mix-ups of the various test cassettes. Pour 4 drops of the prepared extraction solution into the sample opening of the test cassette. The result is available after 10 minutes.